We know that established researchers have different needs than students. You probably have experience using psychological assessments and you can fast-forward past "orientation". We make it easy for you to get up and running with your research by providing online services via our Transform™ system. Transform™ gives you 24/7 access to assessments, data, and reports. As soon as you order, you can begin using Transform and your survey participants can receive survey invitations within minutes. Your data and scoring file is dynamically updated with each completed survey. Add your own content to our surveys with our fee-based customization service. Send us your demographic questions, informed consent, or other instruments, and we add it to your survey. We'll work with you to meet your needs. Certification is not required to use our assessments — We believe you either have &msah; or can develop — the skills and confidence needed to correctly use and administer psychological assessments. Use the survey instructions and manuals to learn how to properly use the assessments. See Topics or Our Products sections to find the instrument you want to use. 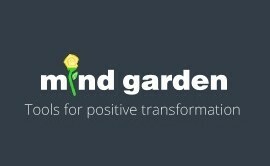 Use Mind Garden's Transform™ Survey Hosting system. Use Transform™ to have us customize your survey (fee-based option), set response deadlines, invite and remind participants, and collect and download your data (including raw scale scores by respondent). Purchase accessories such as Group Reports to make your job easier. Create your own survey with an outside online survey site. You'll need to re-type and re-format the instrument yourself. For this option, purchase a Remote Online Survey License and complete our Online Use Application (review our online policy here). Need incentives for your survey participants to respond? You may be eligible for our special offer on discounted Individual Reports – get our reports for as little as $5 each! You must be conducting unfunded research with a custom survey. Contact us for more information. Buy our Transform Survey Hosting option rather than trying to create a do-it-yourself survey on another website. You'll save on time and frustration. We can customize your survey by adding informed consent, demographic questions, other instruments, and more. Many login options exist for your survey participants. If you want to save time with calculation and analysis, consider buying our Transform Survey Hosting, with or without customization, and adding on a Group Report. Don't have grant funding yet? If you need a manual for the non-reproducible copy of an instrument, ask us for delayed invoicing. Use our Order Form and request a delayed due date on the invoice.